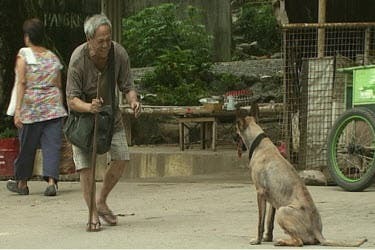 “Maalaala Mo Kaya” presents a special heartwarming ‘love story’ this Saturday (August 4) of a 70-year-old man named Lolo Jessie (Nanding Josef) and his pet dogs Simba and Brownie, who taught him the meaning of a true family. Although grateful for his nephew who let him stayed with his family, Lolo Jessie had no choice but to leave because his nephew’s wife was not in favor of having dogs in their house. Lolo Jessie loved Simba and Bownie so much that he cannot abandon them and even promised to take care of them for the remaining years of his life. Together with Nanding in the “MMK” episode are Dingdong Avanzado, Jessa Zaragosa, Maliksi Morales, Jao Mapa, Liza Lorena, Keana Reeves, and Kazel Kinouchi. The episode was researched by Akeem del Rosario, written by Mark Duane Angos, and directed by Nick Olanka. Don’t miss another one-of-a-kind and heartwarming tale of love in “Maalaala Mo Kaya” (MMK) this Saturday, after “Wansapanataym.” For more updates, log on to www.mmk.abs-cbn.com, follow @MMKOfficial in Twitter, and like the Facebook fanpage www.facebook.com/MMKOfficial.